the shelves in my chamber closet. The dependable Mrs Patterson was on hand again today, as workmen tinkered, plastered and whitewashed different areas of the house. Evelina herself tinkered with the shelves of her closet in the master bedroom, cutting away two of them, perhaps to make room to hang clothes rather than fold them. The arrival of new furniture from Boston was exciting for both Evelina and Sarah Lothrop Ames. 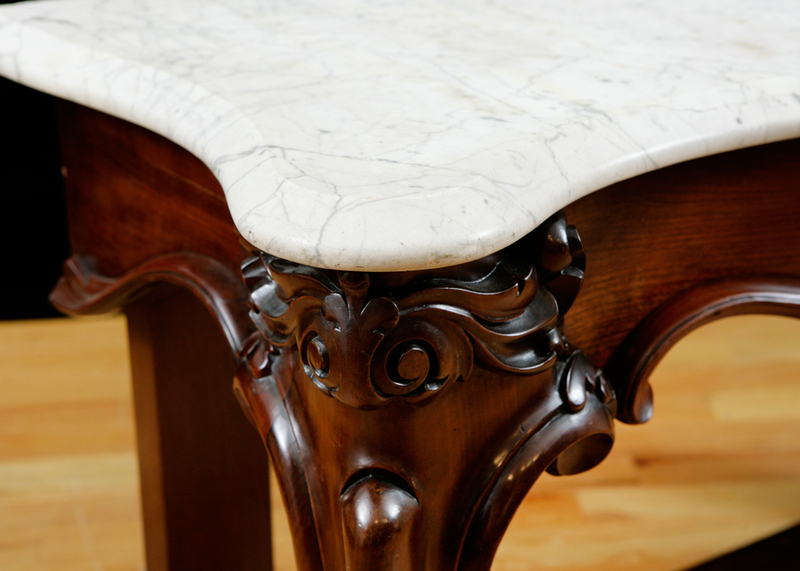 Evelina and Oakes were to have a new console table – probably for the parlor – with a slab of stone – probably marble – on top. The Oliver Ameses next door got a delivery of new furniture, too. The families were upgrading. It must have taken an industrial-strength wagon pulled by oxen to bring the pieces out from the city. The delivery wagon had a “fair day”* for its route, and Old Oliver Ames had a good day to watch the new sills “for the cariage hous”* being laid down. He did enjoy building things, and his daughters-in-law enjoyed furnishing them.